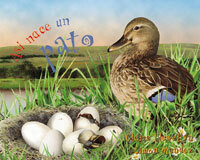 This fascinating collection introduces readers to the amazing story of new life. Beautiful illustrations with detailed scenes from nature, and accurate, easy-to-read text are presented in a fun and novel format to capture children's imagination, the pages grow as the creature grows! Each title contains tabs, picture captions, a glossary, an index, and graphs, the perfect "tool kit" to initiate young students in the reading of informational materials. Many people have left their mark in the world, and continue to be honored and remembered long after their deaths. The three Hispanic figures presented in this book are some of those people. José Martí worked tirelessly for the freedom and independence of Cuba. Frida Kahlo overcame illness and a serious accident to become a respected and well-known painter. César Chávez fought for the rights of migrant farm workers in the United States. Their lives were not easy, but their legacies live on. 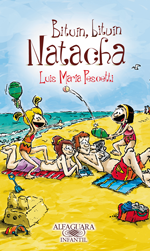 In this installment of the series, Natacha and her BFF, Pati, are learning Arab dance, solving computer problems, writing an essay on the human body, visiting a farm where “city animals” meet “country animals,” and chating with a famous writer. Oh! and lets not forget Raffles manages to turn situations into absolute madness. Envious of freckle-faced Nicky, second grader Andrew pays 50 cents for a secret freckle juice formula hawked by an enterprising classmate, Sharon. But the concoction made from Sharon's recipe fails and Andrew turns green! What else could a giraffe with a very long neck, a pelican with a bucket-sized beak, a dancing monkey, and Billy, a boy with a dream, be but the Ladderless Window-Cleaning Company? When the group is invited to clean all 677 windows belonging to His Grace, the Duke of Hampshire, they have the most incredible adventures. Did you know that colonies of flamingos have baby-sitters who take care of the little ones when their parents are away? This is just one of the amazing facts presented in this book about these endangered creatures. 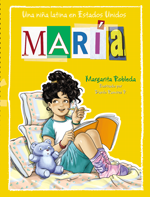 Maria is an 11-year-old girl who was born in the USA but comes from a family of Mexican immigrants. She writes her autobiography to comply with a school assignment. Read Maria’s vibrant and warm story that promotes cultural and racial pride, self-acceptance, racial and gender equality, multiculturalism, self-understanding, and family ties. 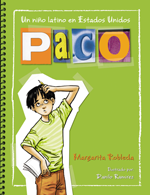 Paco is a 10-year-old boy who recently migrated to the USA. He writes his autobiography to comply with a school assignment. 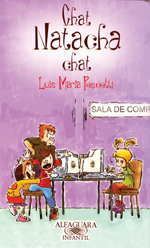 Read Paco’s humorous and candid story that promotes cultural and racial pride, persistence and determination to achieve personal goals, multiculturalism, and family ties. 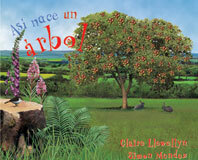 This book is a collection of short stories about different indigenous groups who inhabit the Amazon region of Ecuador. These communities have developed a deep understanding of the plants and animals that surround them and have learned to find what they need in the rainforest. The rainforest is also present in their numerous legends and myths, which they pass on to their children. However, there are threats from the outside world, and this unique and wonderful environment needs protecting. In this book you are going to learn about Harriet Tubman’s life. She was an American abolitionist. Born as a slave in Maryland, Harriet was able to escape to the North. Shortly after, she began leading other slaves—more than 300—to freedom. During the Civil War, Harriet worked for the Union Army as a spy and a scout. Harriet was also active in the cause of women’s suffrage. She died in 1913, and is remembered and honored for her courage in defense of freedom.